Our new year is off to a good start following a very welcome Christmas present in the form of the mid-December concert “It’s beginning to look a lot like Christmas” by the University of Chichester Concert Orchestra and Symphonic Choir, augmented by a few Havant Symphony Orchestra players. It was an excellent evening, full of favourite Christmas songs and orchestral works, performed with enthusiasm and energy. The only slight glitch was that the stage lighting facilities in the Community Centre could not cover the rather large orchestra in front of the stage, so the conductor and any solo singers were somewhat shrouded in darkness, but the sound was just as enjoyable anyway! 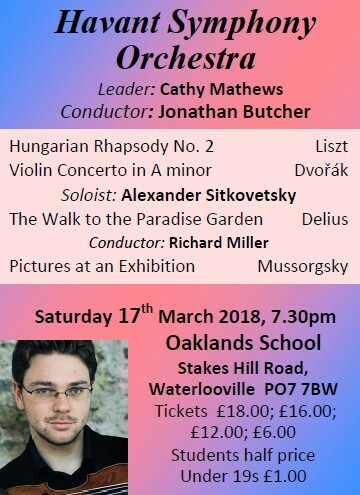 From our point of view, the best bit was that they very kindly agreed that if we handled selling the tickets, they would donate the entire proceeds to the Havant Orchestras, to help us continue to bring in outstanding soloists to perform with the orchestras, such as Raphael Wallfisch for the July HSO concert. We are very grateful for this valuable contribution, which we hope will enable us to help balance our finances this year without having to dip too deeply into our reserves. Last year, with additional funds from a valuable legacy, we were able to support some additional activities aimed at attracting new audiences. This included the HSO “Planets” concert in July, which cost significantly more than most of our usual concerts because of additional player expenses, but fortunately brought in sufficient extra audience to cover much of the increased cost. 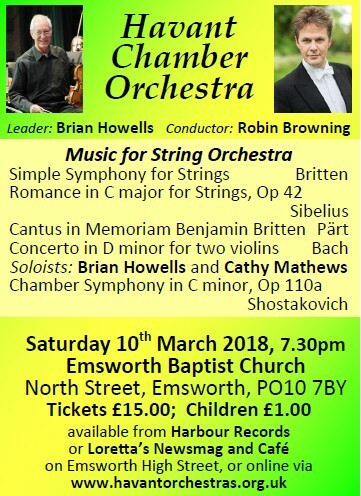 We also included an HCO strings concert at the new Emsworth Baptist Church in March, which was greatly enjoyed both by the audience and by the players, so we have arranged another HCO strings concert there for Saturday 10th March, for which the details are on the back page. Although the first Emsworth concert was greatly appreciated, with the small venue bringing the audience close to the music, it fell far short of break-even financially, and in such a small venue it would be difficult to cover costs, even if every seat was sold, unless ticket prices were greatly increased, which we felt would be unacceptable. The committee was therefore somewhat hesitant about having another concert there, but in the end we agreed to raise the ticket price only a little, to £15, and have at least one more concert there before reviewing the situation again. The programme for this concert of beautiful string music ranges over several centuries, from Bach to Arvo Pärt! In the second half, Robin Browning will introduce the Shostakovich Chamber Symphony, which is an orchestral version of his famous 8th string quartet, illustrated with excerpts before the full performance. Tickets can be purchased in Emsworth, as described on the posters, or can be obtained online from TicketSource via our website. 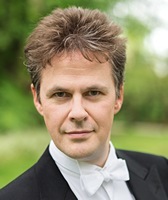 But before all that we have a special treat in the form of Saturday’s Havant Chamber Orchestra concert, starting gently with some lesser-known Schubert, followed by the dramatic Schumann piano concerto and concluding with Beethoven’s outstanding Eroica, which redefined the concept of the symphony. This is a concert which the players expect to enjoy immensely, and we hope that you will all come along to share the experience! 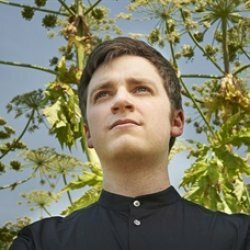 We will be having a conversation with our soloist Richard Uttley about the Schumann piano concerto. The pre-concert interlude in the Octagon Lounge will be given by local pupils under the direction of singing teacher Fiona Morris. Hello and a Happy New Year. It may be dull, damp and sometimes icy outside, but HCO has a tremendously warm and uplifting programme in store for February. Celebrating three key mid-romantic giants, as well as continuing our survey of Beethoven symphonies, it’s a gorgeous line-up which we hope you won’t want to miss. We open with Schubert’s Overture in the Italian Style in D, the first of a pair of related works – the other of which opened one of my earliest concerts with HCO a few years ago. It’s good to connect the circle some time later! In a typical manner, Schubert pairs a slow opening, imbued with dotted rhythms, with a clearly Italianate allegro, hence the work’s title. Schumann’s justly famous concerto follows, and I’m delighted to introduce the HCO audience to a brilliant young pianist with whom I’ve had the privilege to share the stage on many occasions. We first met over a Rhapsody on a Theme of Paganini in London, and have journeyed together via more Rachmaninov, Stravinsky’s incredible concerto for piano and winds, to the Schumann. I’m sure you'll be as stunned by hearing Richard play as I have every time I’ve worked with him. And what a stunning concerto, one of the very best, formed like a jewel with finesse and real joy. The finale is always a tricky one for the soloist to unify with the orchestra in tricky counter-rhythms, but I’m sure our skilled HCO players will have no problem. And then, to finish, the giant Eroica symphony. This needs little or no introduction, of course, fusing arguably the single greatest symphonic first movement with an extraordinary funeral march, and finishing with a dazzling tour de force of variation form. As a conductor, working as often as I do with Beethoven, no matter how many times an Eroica comes around, it is always something special. It has to be. It is one of the most important works in the entire orchestral repertoire – and I’m not only referring to symphonies. Its impact was – and still is – huge. And that is never far from one’s mind when preparing it. I’m so looking forward to this concert of marvellous music and hope you are able to join us. LSO Live LSO 0580 £8.75. University of Chichester Chamber Orchestra and Choir performing Debussy, Respighi, Mozart & Schubert. Havant Baroque (players from Havant Chamber Orchestra) performing Purcell, Telemann, Boccherini & Bach. See the Events page on our website www.havantorchestras.org.uk for information about many other orchestral concerts and other musical events in the area.